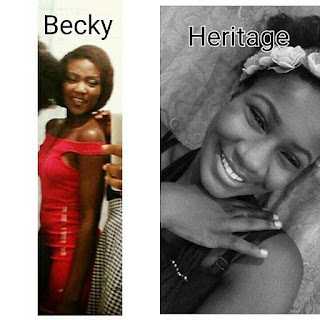 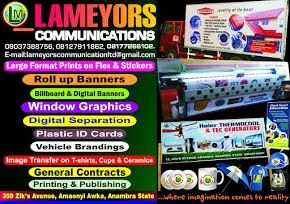 A 200-level student of Uniben, Becky, stabbed her recently bereaved friend Heritage on her head severally and left her to die. 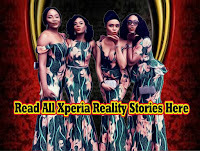 ‘This photo is of two undergraduate students of University of Benin in the Ekewan campus of the University. 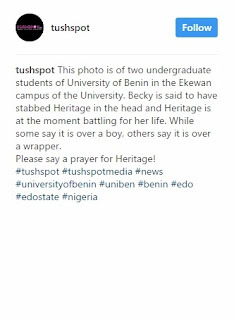 Becky is said to have stabbed Heritage in the head and Heritage is at the moment battling for her life. 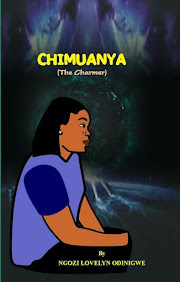 While some say it is over a boy, others say it is over a wrapper. 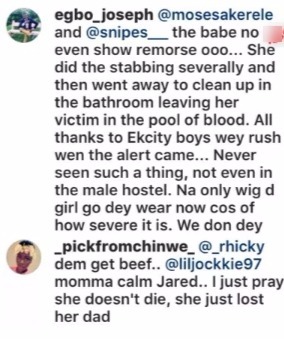 A comment from a student of the school apparently, implied that Becky did the stabbing and calmly went into the bathroom to cleanup herself, leaving Heritage in a pool of her own blood.